Plus one for the kiddies. Equinox-3d (Please read all advisories, follow all instructions and observe all terms and conditions of the download site.) This is another one that really looks to be pretty good, I haven't used it personally, but I've seen some nice screenshot of it. I think it goes for about $30.00 (U.S.). Practical Scriptwriter 1.6 is not exactly freeware, but for $70.00 (U.S.), you can't beat it, :thumb:. 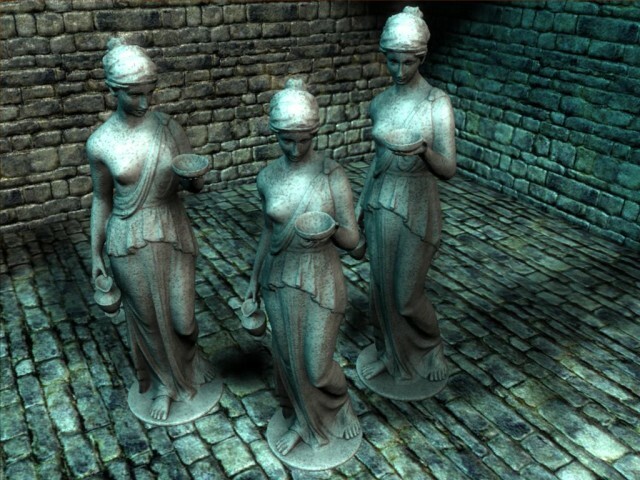 these are extremely versatile and useful to either the 2d or 3d modeler. 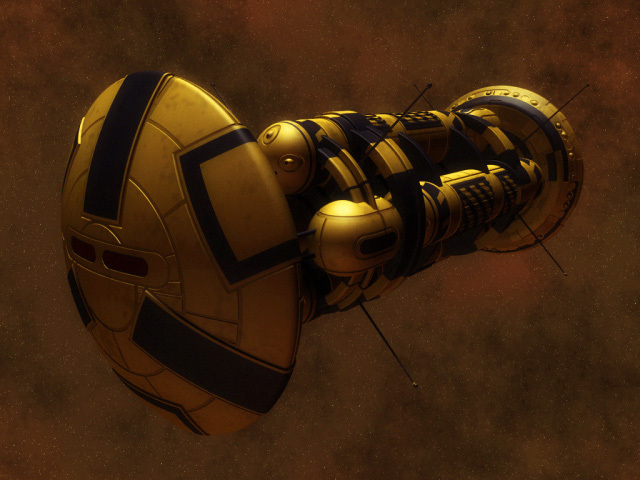 I get great results with this, as seen with my Colonial class Battlestar Ares, just search the 2d gallery, I did that up in paint.net, no other programs were involved, period. IrfanView - Official Homepage - one of the most popular viewers worldwide -free, read all terms and conditions please. not only is it better for viewing pics than using the windows picture and fa viewer, but it possesses the ability to batch convert, sometimes very useful when one needs to convert and move out fast, say, to the local cvs down the street before it closes, lol. edit: you forgot to add the link to the past versions of paint.net for those of us with older systems, lol. Gents, I probably won't ever use any of these downloads as I've been using Max for about 80 years and I still can't figure it out, so I will be dead before I learn my -first- application. But on behalf of other nuggets out there, I thought I'd take a moment to stroke your ego Hundred, by offering thanks for your efforts in helping other people get along in this hobby/career. To all of you who have contributed with links and feedback for applications, cheers. I clicked on a link in the sPatch site (one of the main nav links across the top, like news, download, etc, not an ad link)and it went to a page that tried to autoinstall something. My Antivirus went nuts and I closed out the second page that was opened. Be careful looking around that sPatch site. I get a popup blocker warning and the actual site is displayed, so whatever you have seen is something that your browser is showing you because you do not have your browser correctly locked down. I guess what this has highlighted is that you need to be more aware of what your browser allows. Please make sure you are web safe by making your browser of choice as safe as possible. Automatically block potentially dangerous scripting, do not allow auto-execute and only allow scriptable content from trusted sites. That might sound like I am being harsh, but if you have gone to a web page and your browser has allowed it to invoke an attack then it is you that is not showing due diligence. Always, always make sure that your browser is as secure as possible. NOTE: Some of the apps that are offered on dmoz are not free or open source applications. To Dannage (and the rest of the Nuggets): Thank you, and no need to stroke my ego, it has received sufficient strokage in my life time. In fact my ego is so huge, that I have received letters from NASA stating that they can actually see it from high orbit. Of course that's a complete fabrication, but you get the idea. To spudmonkey: It wasn't the sPatch site, I think it was an artist featured there that had a link to his own personal gallery or something like that. In any case, from what I saw it was an advertisement pop up for some sort of post Generation X site. Like I said earlier, the site wasn't too bad, it's just that it's not really for kids under 17, from what I saw, thanx. The first image is of a rendering done in Aqsis, and the second, is of an image done in Orge, none are mine by the way, :thumb:. EDIT: (01/23/08) There's a new and improved version of Celtx out there, Celtx 0.997 I believe, with a new look, a totally new interface, and new features. I haven't used Celtx in a while, but based on what I've seen of this new version, the look, and the improved functionality, I've increase my rating from 4/5 to 5/5, :thumb:. EDIT: It's not the best quality CG I've ever seen, but on the other hand it's not too terrible. For a Nugget project or a just beginner, it's ideal, It's simple, it's reasonably priced, and it's easy to use. EDIT: (01/23/08) Now that I've seen a few more animations made by 3D Sci-Fi Movie Maker, I can honestly say that, if there were a way to increase the output resolution, and if you were to run it through a decent movie editor, you could get some pretty nice results. It has potential. Though I know almost nothing of Nem's Tool, the site does offer some pretty decent screen shots. However the images seem to be more of a game-like quality than that of art, but, they're not bad. Plus, the interface looks simple enough for any beginner. I'd say this is another one worth checking out, :thumb:. I've updated the links for sPatch so that there are now two links; one is a direct link to the application zip file and the other is a direct link to the documentation file. I left my advice on browser security on the post as it still applies in general! NOTE: Some of the apps that are offered on Hobby CNC are not free or open source applications. NOTE: Some of the apps that are offered on Free Byte are not free or open source applications. Alright Fellas, you're gonna need a credit/debit card for this one, but it's no more than about $3.00 (US), shipping and handling. From what I went through, you get one CD free, plus second CD free, and then two more of your choice, free, according to your interests. Choose wisely, :thumb:. Quick Hint: Click on either the Graphics or Creative tabs, :thumb:. And it really does come within 5 to 6 business days, :thumb:. Alright Fellas, the only free one in this batch is the Advanced GIF Animator package. The other two you're gonna have to buy. The first one, Easy GIF Animator, is a great application, I've used it myself. It runs for around $50.00 (USD), but I think it's half price for a while, about $19.00. The second application, CoffeeCup GIF Animator 7.5, looks to be pretty cool as well. I've never used it but the price is great, about $30.00 (USD), enjoy, :thumb:. This one's about $19.00, (USD), good price, but the screenshots aren't anything to go mad over. However, for low poly stuff, it'll do nicely. I think a bunch of college kids at Texas A&M made this one, but, in any case it has some pretty awsome screenshots. It seems to be geared more towards organic design. Very fluid, :thumb:. Edit: Just saw some ZModeler2 stuff, not too bad, :thumb:. I forget what site I was browsing when I found out about it, but during the course of my travels, I discovered that Bryce 5.5 had been made freeware, this is one hell of an app, and for those who can use it to its full capabilities, an indispensable treasure. I first used it during the windows 98 days, and of course, I thought it an easy to use program. well, its nice to see that very little has changed, with regards to the UI, its still as simple and easy to use as always. Rating: 5/5 -its best assets seem to be its ease of use and the relatively straight forward UI design, even novices should find this program easy to use and learn. Trekmeshes and StartrekEurope • View topic - Bryce 5.5 now free! Thanx XRaiderV1.7, been meaning to post that one, :thumb:. This one's about $25.00, (U.S.), but to be honest, it's not so great, especially when converting fairly high resolution stuff to resolutions of less than 300 x 300. But on the other hand it's not really that bad, as long as you stay above 300 x 300, so maybe somebody can find some use for it. This one is also about $25.00, (U.S.), pretty decent app. Very clean conversion, :thumb:. This one's about $20.00 (U.S.). Also: To anyone who would like to post a link to a particular software application. The application does not necessarily have to be free. As long as it's below, or just at or around $100.00 (U.S.), but not above $200.00 (U.S.). And again, PLEASE, do not post anything that is a trial version (or demo) of a particular software, or which has an expiration period or anything that will leave watermarks on renderings (very, very unsightly). 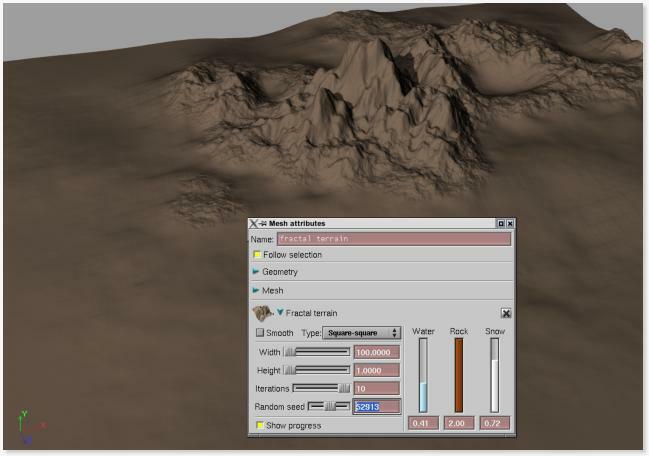 To XRaiderV1.7: Bryce is also an excellent terrain generator, :thumb:. 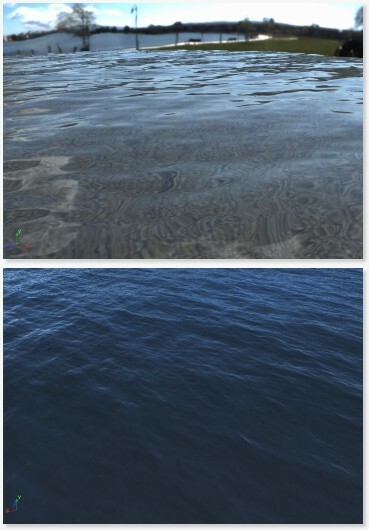 EDIT: It has some incredible liquid simulation screenshots, some of the best I've ever seen. I may try this one myself. EDIT: It also has a great terrain generator. EDIT: It has a tutorial PDF, that you can download off the home site. I'm definately gonna try this one, :thumb:. Now, after trying some of this stuff, you're bound to find a few apps that just didn't strike your fancy. So you're going to need a way to clean them off your computer. Here's a link for a 100% totally free, fully funtional regestry cleaner, that works magic. EDIT: If you're a lazy person, I wouldn't use the duplicate removal feature on this application. You literally have to delete all of your unwanted duplicate files, One-At-A-Time. And depending on how much junk you have on your pc, it could take a while, . Now I'm not trying to point fingers here, because goodness knows, I am no expert speller. But a few of us around here can really use this next link, . It's a fully functional, free, dictionary/thesaurus. Because if you plan on writing a sci-fi tele-play or screen-play or what have you. No one, and I mean no one, from any major studio and or network, will so much as consider your work, if there are too many misspelled and or incorrect words. The same company also makes a word processor, The Scribe, plus a few other applications.